I walked through narrow streets, bikes breezed by, and I couldn’t help but admire how delicately the vines grew on the old homes. 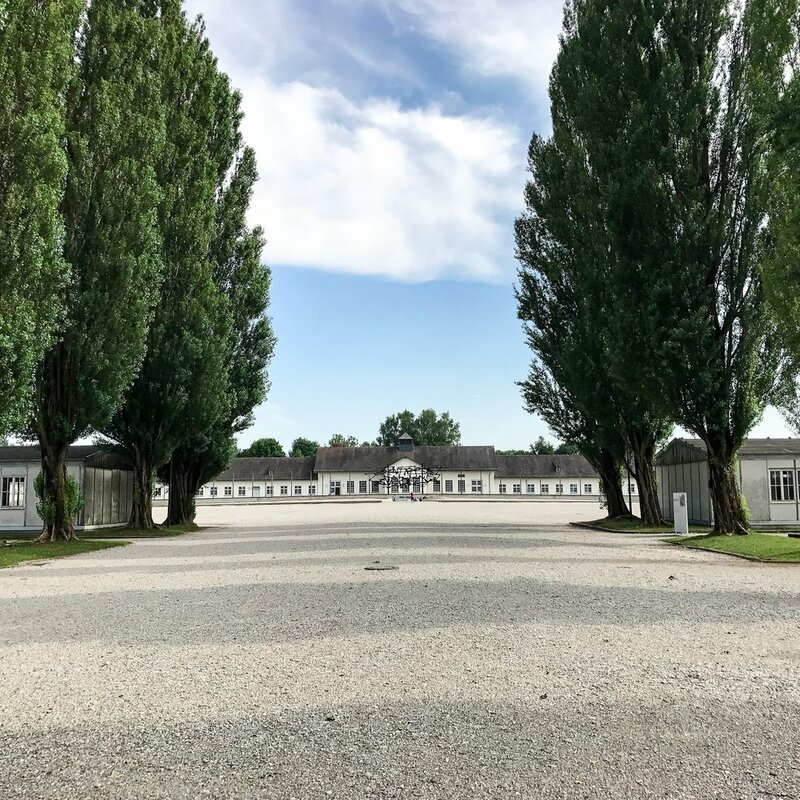 The heat slowed my steps, not to the point of discontent, but I took the opportunity to take in Dachau as a town, instead of a site for past horrors. 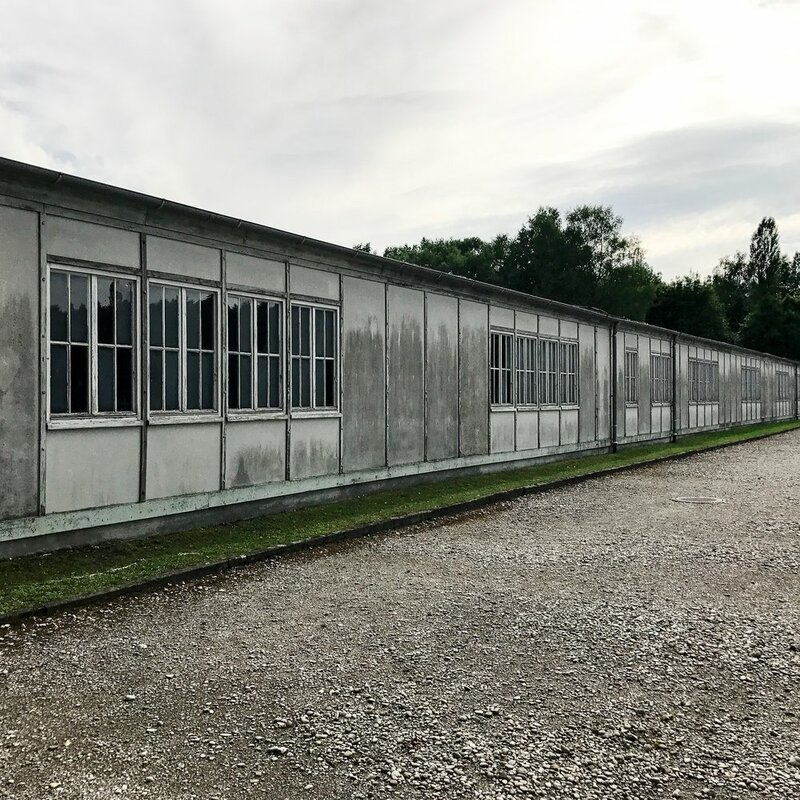 It was my first visit to a concentration camp, and I didn’t know what to expect. My education constructed an idea of austerity and unfathomable images. Yet, those educational experiences never painted the picture of post-reconstruction Germany. What does it look like in the wake of recovery? The camp was abandoned until 2003, when it was reworked into the current memorial site. 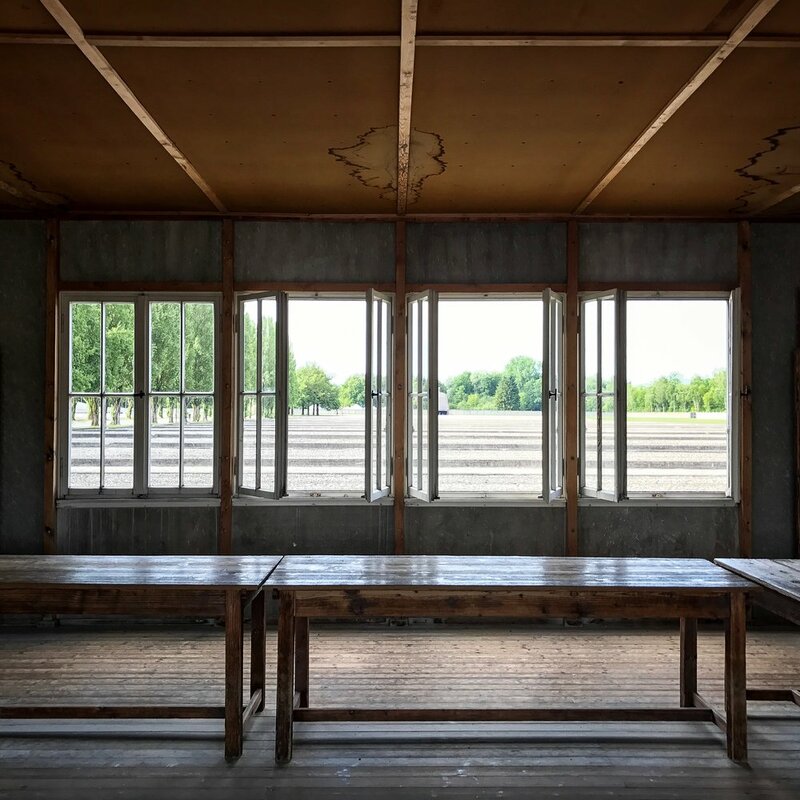 Though most of Dachau was reconstructed, there are original touches that peek through. And each authentic detail seems intentional to provide juxtaposition between the new and the old Dachau. As it stands, Dachau transforms inhumane acts into something palatable without losing impact. I was gently guided through a prisoner’s steps. And it’s absolutely unsettling to enter and leave from the very gates from which thousands did not walk freely. 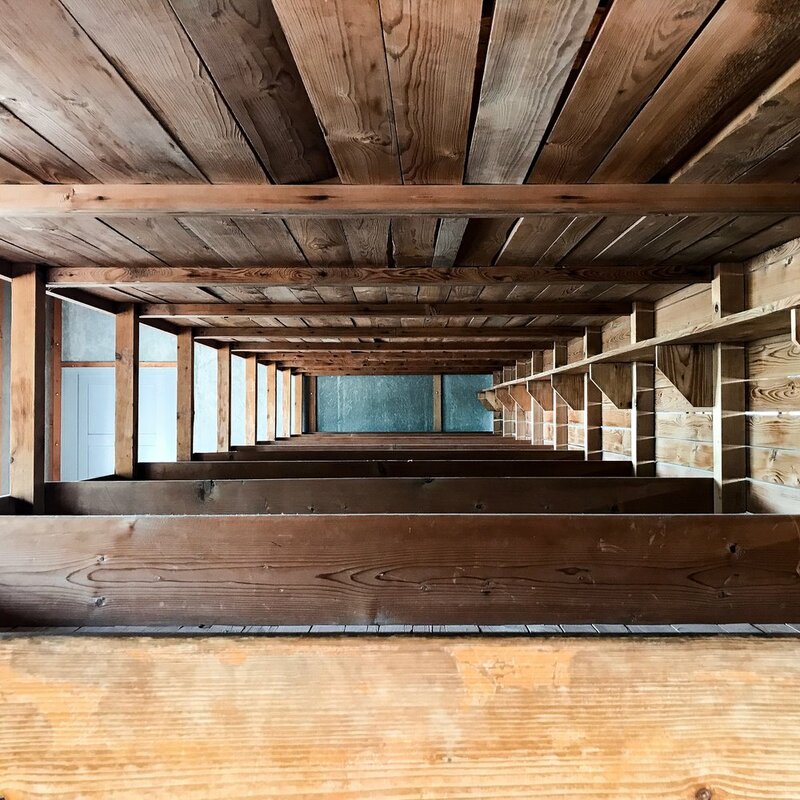 It’s jarring to retrace steps through reconstructed showers, touch the panels of those splintery, wooden bunks, and take a stand right underneath once noxious showerheads. Yet, between each moment of the past, there are reminders of progress. Honestly, I think the present Dachau is uplifting. It captured a delicate balance of authenticity, sensitivity, and ultimately respect to the victims. The fallen did so honorably, and are now at peace. For instance, take Nandor Glid’s sculpture of tortured and emaciated bodies twisted into barbed wire. Somber, even macabre, but I found it hopeful. By crossing this sculpture to the next part of the site, I felt it symbolized the tragedy that ended with those prisoners. Because just beyond the sculpture the grounds were open, they were free. On this walk, I was led to one of two resurrected reconstructed barracks, but those structures didn’t hold my attention. I strolled closer to the end of the camp by way of an expansive tree-lined walkway, where each tree aligned with a smooth concrete slab, labeled with its former barrack number. It wasn’t until I reached the end of the path did I turn to look back on the main building, the bronze bodies, the barracks, trees, and those concrete ghosts. I didn’t realize I’d gone from reading each plaque to contemplating the power of progress. Present-day Dachau is a glimpse into history. It’s a reminder of how societies can move on from even the darkest times. They can rebound, flourish, and again thrive. And in lieu of recent events, I feel that Dachau Memorial Site, as well as others, act as an admonition of what could come. They are poignant reminders for us to be active in steering toward a new society less tolerant of aggression and ignorance. Ultimately, my hope is this violence will not repeat itself, and we continue to honor and learn from memorials and truly leave them behind.